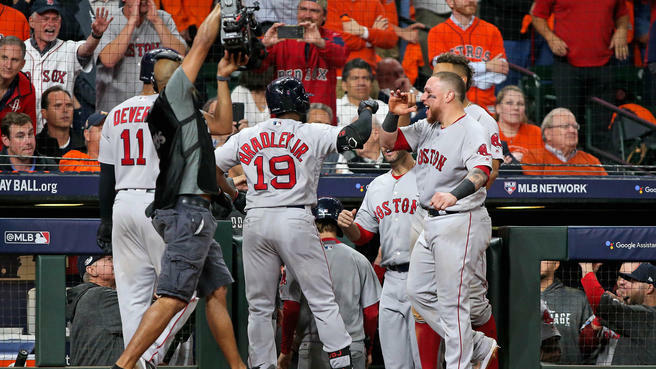 The Red Sox nudged ahead in the race for the AL pennant on Tuesday night, beating the Astros 8-2 to take a 2-1 series lead. There’s been plenty of good and bad from the Sox through three games so far. Let’s dive in. 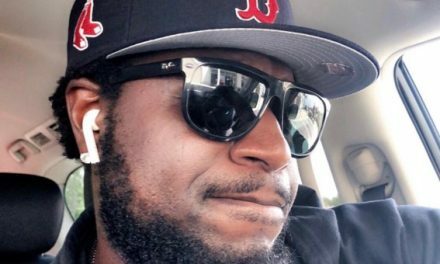 Bradley Jr. now has 7 RBIs in 3 games in the ALCS. For comparison, David Ortiz had 11 RBIs in 7 games in 2004. The Red Sox centerfielder only has two hits this series, but he’s made them count. Any offense from Bradley Jr. is a welcome bonus, of course. But, it’s great to see him have a postseason moment after a strong finish to the regular season (.282/.349/.501 after June 23rd). Steve Pearce – Prior to JBJ’s Grandest Slammy in the 8th, the biggest moment of Game 3 was Steve Pearce wrapping a shot around the left field foul pole to give the Red Sox a 3-2 lead in the 6th. I’ve said it before, but this guy has been a game-changing pickup for Boston. Mitch Moreland has been sidelined by a sore hamstring, and Pearce has just taken over. The 35 year old utility man has hit .304 this postseason, and provided excellent defense at first base to boot. Moreland has been the guy at that corner for most of the season, but Alex Cora has been rewarded for riding the hot bat/glove. 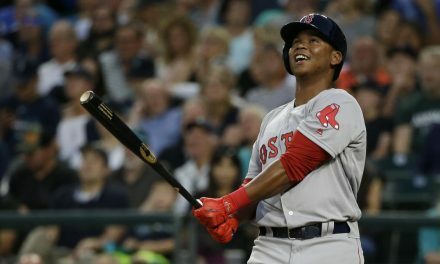 Red Sox Bullpen – Is the Boston bullpen actually…good? In 12.1 innings this series, Sox relievers have posted a 3.66 ERA. That includes Brandon Workman’s Game 1 implosion. Otherwise, they’ve been damn near shutdown. That’s huge, considering how big of a weak spot that aspect of the team appeared to be coming into the playoffs. I wrote in September that the Sox could win in October without a dominant bullpen. It seems like they’re holding up their end of the bargain, so far. JD Martinez – Martinez drove in the first run of Game 3 with an RBI double down the right field line. Outside of that, he’s been a complete non-factor. Martinez has mustered only 1 hit in 11 ABs, and has only reached base an additional 2 times. The Astros have been feeding him a steady diet of low and away breaking balls, and it’s working so far. 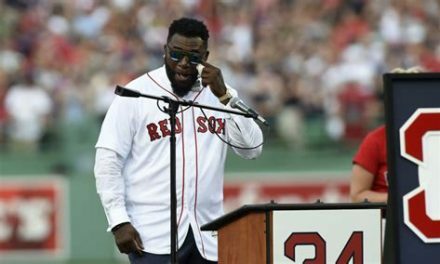 If the Red Sox plan on closing this series out, they’ll likely need their anchor to come through in a big spot. We’ll see if he can snap out of this funk. Postseason Price – Good news: a Major League Baseball team won a postseason game started by David Price. 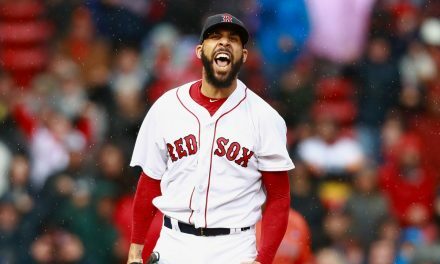 Bad news: David Price still didn’t get the win, after getting pulled from Boston’s Game 2 victory midway through the 5th inning. I’m not going to re-tread tired ground too much here, but it continues to amaze me that a pitcher with so much success continues to bring next to no value in the postseason. As of now, the Sox will be turning to Price in Game 6 (if necessary). That is still a frightening prospect. Third Base Defense – This is turning into a black hole. Cora keeps throwing Eduardo Nunez into the mix, and Nunez continues to misplay ground balls and terrify all of New England. Not helping matters is Alex Bregman vacuuming up anything that moves on the other end. Fingers crossed that Boston’s third base defense doesn’t end up costing them too much in the end. Rick Porcello takes the mound against Charlie Morton in Game 4 tonight. Porcello has been gutsy as hell this October. Another big time performance will give the Sox a commanding lead in this series. NextWhat Happened To Claude Dielna?